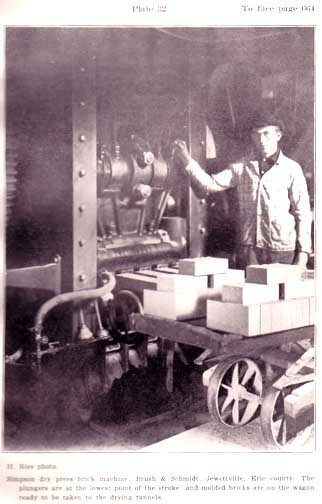 Simpson dry press brick machine. Brush & Schmidt, Jewettville, Erie County. The plungers are at the lowest point of the stroke, and molded bricks are on the wagon ready to be taken to the drying tunnels. Plate 32, p. 664. H. Ries photo.